Cosmetic dentistry generally refers to the services we provide that enhance how the patient’s teeth look. This becomes a broad topic, as everything from crowns and bridges to veneers can fall under the heading of cosmetic dentistry. 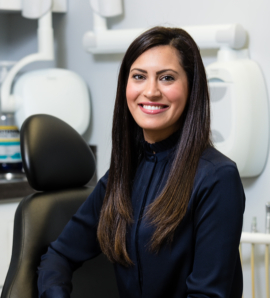 The team at No Limits Dental strives to consider the cosmetic angle of everything we do—from fillings to full veneer cases and everything in between. A cosmetic dentist is aware that how we look impacts self-esteem, and that good form is just as important as good function. Excellent technique is important in providing cosmetic dental services. The dentists at No Limits also believe good communication with the patients is critical to fully understand the types of results each person wants. All our dentists work hard to stay on top of changing trends, new technology, and evolving techniques to continue to deliver the quality results our patients expect and deserve. When most people think about cosmetic dentistry, teeth whitening is usually at the top of the list. From in-office treatments to take home kits, there are many choices in teeth whitening products available today. Some work better than others, and some are more likely to cause patients to feel sensitive after treatment. If you have questions about teeth whitening options, ask us at your next appointment, or call to schedule a consultation. With veneers, we can create a more even smile, in terms of tooth shape and color. The veneers are thin layers of porcelain or composite material that are bonded directly to the surface of the natural tooth. Through veneers we can control tooth color, hide chips or imperfections in the tooth structure, and give you an instantly whiter smile. 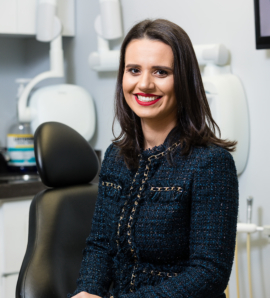 However, this is a permanent alteration to your tooth, so we will discuss details of your specific case and provide guidance on whether we believe this is the best option for you. Missing and damaged teeth require additional care. While procedures like dental implants, crowns, and bridges are needed to restore functionality, a good cosmetic dentist recognizes their aesthetic value as well. We pay close attention to color matching and positioning when we restore crowns and bridges.